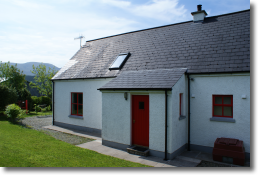 Being just 600 meters from the Ulster Way they are ideally situated for hill walks. 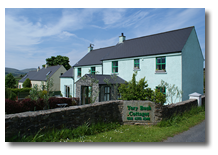 The self catering cottages are built in the ‘Clachan’ style, of traditional appearance with white-washed walls and slate roofs. Dry stone walls, original gates and pillars give the appearance of a ‘turn-of-the-century’ Ulster farm yard. They were, however, built using the latest materials and techniques incorporating high degrees of insulation and an efficient central heating system to give summer warmth all year round. There is a choice of a 1, 2,3, or even a 4 bedroom cottage, In each cottage there is a main and an en-suite Bathroom. There is a fully fitted kitchen, with a gas hob & electric fan oven. Dual microwave & grill. Dishwasher & washing machine. Fridge freezer. In the surrounding area there are opportunities for a wide variety of activities, please see our activities section for further details.